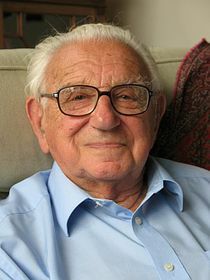 Today a life peer in Britain’s House of Lords, Alfred Dubs was just six years old when he became one of over 660 Jewish children saved from Nazi-occupied Prague by Sir Nicholas Winton. The Labour politician last year made headlines for attaching an amendment to an immigration bill that offered unaccompanied refugee children safe passage to Britain, though the UK authorities later largely abandoned the scheme. 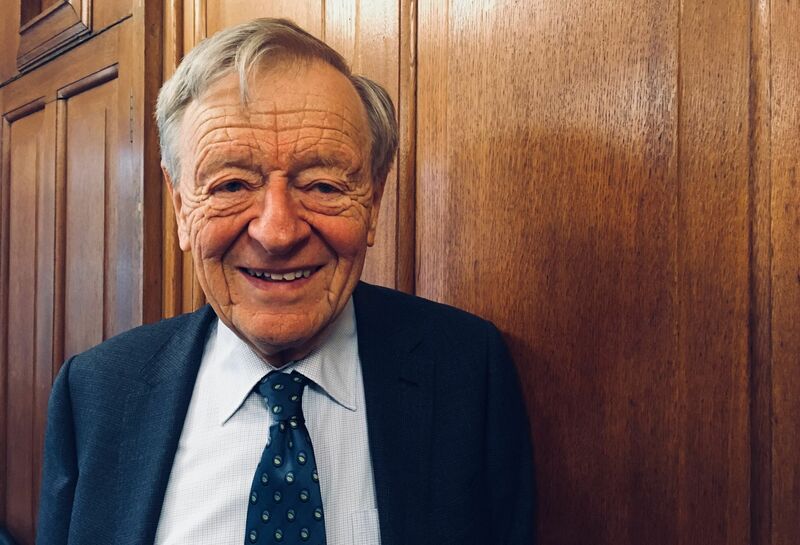 When we spoke recently in London, I asked Lord Dubs – now 85 – about his own beginnings in the UK and attitudes to refugees today. But we began with his family background. Lord Alfred Dubs, photo: Ian Willoughby “My father was Hubert Dubs. His family came from Northern Bohemia. 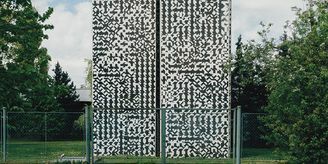 My mother was called Frida Ortner, or Bedřiška Ortner in Czech, and she came from Austria. We lived in Prague. What part of the city did your family live in? You’re speaking a little bit of Czech – what language did you speak at home? Obviously you were very small at the time, but what do you recall from the period between when the Nazi occupation began and when you left Prague? “The first thing is my father disappeared immediately. He had said to his cousins, with whom he was in business, that if the Nazis came he was getting out. “I don’t think he was political, so it’s very odd, that. “But the cousins said they’d take their chances and in 1942 the Gestapo came for them and that was the end of them. One had a cyanide pill and the other was taken to Auschwitz. “So I remember my father disappearing. “We had to tear a picture of President Beneš out of our school books and stick in a picture of Hitler. And of course there were German soldiers everywhere in Prague, very visible. “That’s basically all that happened. “My mother tried to get permission to leave and she was refused an exit permit. When she went to Gestapo headquarters or wherever she was refused and they threw her down the stairs. “But when she landed in a heap at the bottom the first thing she realised was that they had thrown her passport after her. So there was hope. “In the end she did manage to get an exit permit and she arrived in London on August 31. Remember the war began on September 1. “Anyway in the meantime, having been refused, she put me on a kindertransport. 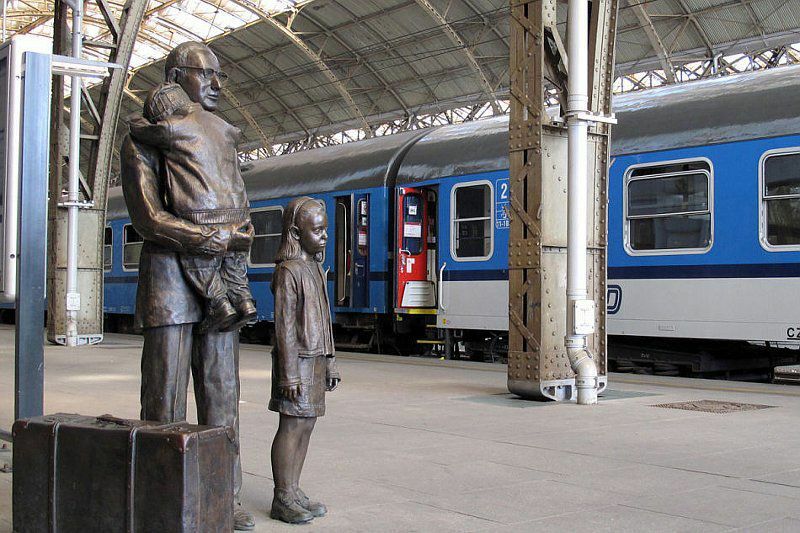 “I remember the kindertransport. I was six years old and I was one of the youngest. “I didn’t know anybody on the train. My mother saw me off and it was all very bewildering. “It was an interminably long train journey. At the Dutch border the older ones cheered because we were out of reach of the Nazis. I knew it was important but I didn’t know why. To rewind slightly, do you remember what your mum told you when she said, You’re going on this train to England? 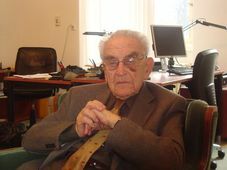 Sir Nicholas Winton, photo: archive of Radio Prague “Yes, I was luckier than many. What she said was, You’re going to see your father in England. That was the incentive. “Some of them had parents waiting, some had relatives. Some of them saw their parents again, some of them never saw their parents again. That must have been a hugely emotional moment? “It was, but I was quite bewildered. He was surprised because my mother had packed some sandwiches and I hadn’t touched them on the whole train journey [laughs]. My father was quite surprised I hadn’t eaten – you know, Czech sausage and stuff. What was the age range of the kids on the kindertransport? And was there adult accompaniment? “The age range was… there may have been younger ones on some of the trains, but up to about 17 or 18, as far as I know. Mind you, it’s not something I was particularly aware of. I guess if there were 17- or 18-year-olds they could have looked after the smaller ones. “Certainly on the boat across there was an older one who was supposed to look after me in the cabin. But to answer you, I don’t know. The UK took in thousands of children at that time, from Czechoslovakia, Austria and Germany. But there was also some resistance to that in the UK. What was your reception here, generally, when you arrived? “First of all, Britain took 10,000 kindertransport children from Germany, Austria and Czechoslovakia. There’s a plaque in the House of Commons commemorating that. “I wasn’t aware… Look, I had to learn English and that was quite a tough call, because I hardly spoke a word. “It’s a tough call, but in the school playground, you learn English to survive – that’s what you do as a child. “So I found that difficult – it was the language thing that was hard. “I wasn’t aware of reception as regards my parents, because that was for them, it wasn’t for me. 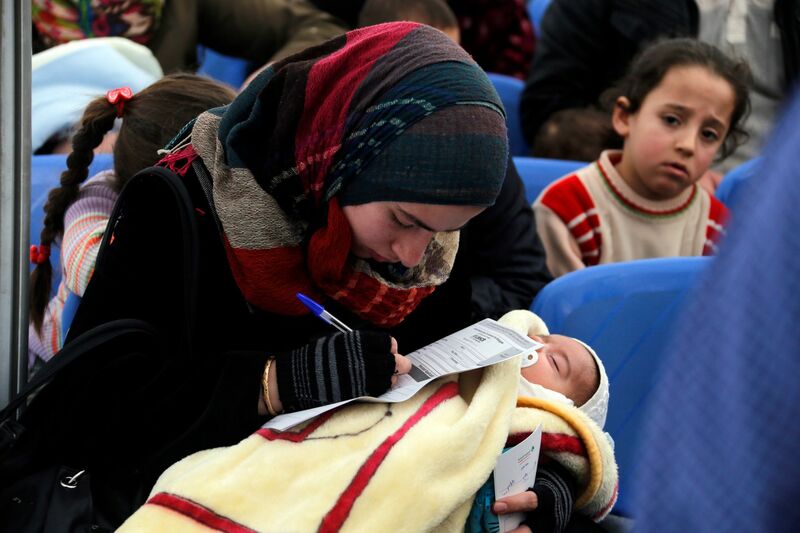 Given the number of refugee children, were there many around you? For example at school? 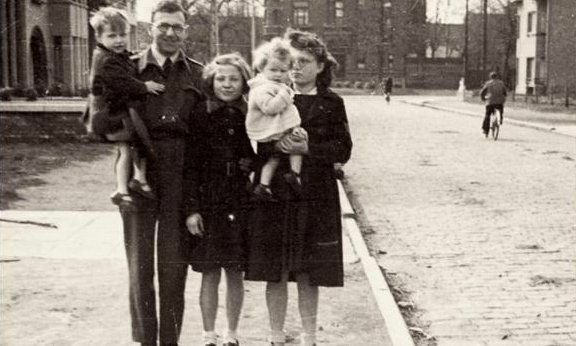 Nicholas Winton with 'his' children, photo: Czech Television “Well, for some years during the war – and this is important – the Czech government in exile ran a school for Czech children. That was in Abernant in the middle of Wales. That was a boarding school? “A boarding school, yes. There was a secondary school and a primary school. They weren’t all Jewish but many of them were. “They taught some in Czech and some in English. After the war some went back to Prague and some went elsewhere – it was all very complicated. People always say that children are very adaptable. But still, was it a kind of culture shock arriving in the UK? 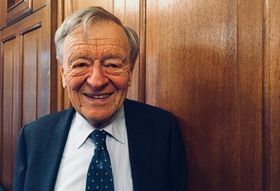 For example, I spoke to another “Winton child”, a man named Otto Pick [head of the Czechoslovak section of Radio Free Europe in the early 1980s; it later transpired that he and Lord Dubs may have been in the same class but never met in later life] and he said he was shocked by the awful food that the Brits ate. “Do you know, I don’t remember the food at all. No idea. “Well, it was a culture shock. I think it was partly language. My father sent me to a little school to learn English while we were wondering whether my mother would ever get out. “So there were all sorts of culture shock things. Also I’d come from this heavy Nazi influence in Prague to a different atmosphere. London was getting ready for war, there were barrage balloons. “One sensed awful things were going to happen: War was going to break out. When did you first return to Prague as an adult? Did you have memories? Did you recognise places? “Yes, my wife and I drove to Prague in about 1960, I think. The Communists were in full control. I presume many of your childhood friends, family members and your parents’ friends would have died in the war? “I was thinking about it. All our family and all the people we knew either ended up in the camps or fled. Some survived the camps and some didn’t. Given the in a sense random nature of your own survival, did that colour your outlook on life? “I don’t know. That’s a difficult question. For a long time I just carried on and decided I was going to lead my life. “My mother at one point was talking and she said that for her when we were in Prague and she had her husband alive, that was a golden age. “Well, for me it wasn’t a golden age, because I was too young to really understand that. 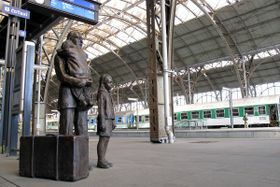 Memorial to Nicholas Winton at Prague's main train station, photo: Jan Rosenauer “I said to myself at a fairly early age, I’ve got to move forward. I don’t disrespect for my mother for living in the past but I can’t do that. In the late 1980s you learned about the part that Sir Nicholas Winton had played in your survival. Tell us about your interactions with him. And what kind of a man was he at the personal level? “I knew I’d come on a kindertransport, but it was only as you say then that I learned what he’d done. “I got to know him pretty well. Fantastic man. I met him lots of times, we used to have meals together and I met him at his house and at events in London. 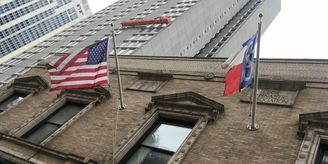 “The Czech Embassy of course had lots of events for him as well. We went to Bratislava once and he was there. “He was passionately interested in politics. What people didn’t pick up was that he had stood for election for the Labour party in local elections in Maidenhead and he lived in Theresa May’s constituency. “So I first met Theresa May at a birthday party of Nicky Winton’s. “He loved talking politics and knew a lot of the old eminent people in the Labour party. “And he was very funny. I once said to him, Nicky, how are you? And he said, I’m fine from the neck upwards. That was when he was 103 years old. Over the years you’ve done a lot of work for refugees’ rights. How do you view the fact that countries like today’s Czech Republic and Hungary, which themselves had a lot of refugees, are so resistant to the taking in refugees from Syria and other states? “I am disappointed. I’ve talked to politicians from the Visegrad countries and what they’ve tended to say is that refugees are not their problem. And then they say, We are only interested in white Christians. “I think it’s a very disappointing attitude. “I talked to the Hungarian ambassador and I said, Look, in 1956, when the Soviets occupied Budapest, 200,000 Hungarians fled and we welcomed them in Western Europe – and now you are saying you don’t want any at all. “I find that shocking. I think it’s a betrayal of the basic human rights that characterise the European Union. “I’m sorry that Britain is leaving. I think that it’s a disaster. So maybe I have less right to say that now… although maybe we won’t leave – we’ll see. Given that people in the UK previously did welcome refugees, from Czechoslovakia, Hungary and further afield, why do you think that welcome isn’t so present today? Why are people so resistant to migrants now? “I felt when I moved my amendments on child refugees that public opinion began to move in support. “And indeed it was because public opinion was in support that a number of government MPs decided they’d vote for the amendment against the wishes of the government. That’s what got it through. “I’d hoped that putting the argument for child refugees would actually make the public attitudes more positive to refugees as a whole. “Then came the Brexit referendum, which was a disaster in every possible way. And I’m afraid that poisoned the atmosphere, because immigration was a key part of it. Jungle refugee camp, Calais, photo: malachybrowne / CC 2.0 “However, I do believe that if it’s put to the public about unaccompanied child refugees, the public will still support it. I know in recent years you have visited refugee camps and seen children. Tell us about those experiences. “They’re quite shocking. I’ve been to Calais three times and I’ve been to camps in Greece twice. “The first time, when the Jungle was there, I was quite shocked. The French had cleared half the camp earlier, and in the little shopping street there were displays of tear gas canisters and rubber bullets. “I said, What are they for? And they said the French authorities, the previous French government, was worried about the National Front being so strong in the Calais area, so they were trying to show how tough they could be. “To which I said, You don’t defeat the National Front by behaving like they would. 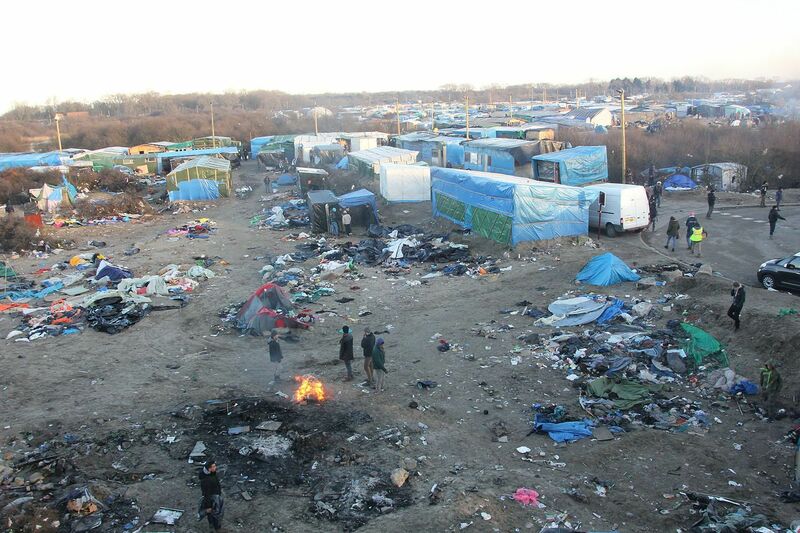 “The conditions in Calais were awful, for adults and children. “On the one hand, it’s awful that in a modern continent people would live like this. “But on the other, the people were very strong. There was a sort of triumph of the human spirit as well. “Of course some of them were determined to get to the UK, even on the dangerous journey jumping on the back of a lorry, and some of them got killed in that process. “Then I went a third time and they had cleared the camp. There were several hundred, if not more, refugees sleeping in the trees, which in the colder weather that’s coming is going to be very, very difficult. “The camps in Greece were also difficult. I went to some near Thessaloniki and some in Athens. “Last January I was at camps north of Thessaloniki. There was virtually no heating and the cold was minus 12. Shocking, shocking temperatures. Illustrative photo: World Bank Photo Collection via Foter.com / CC BY-NC-ND “They went to the little school for refugee children and took the wood from the doors to heat fires to keep warm. The circumstances for those kids must be really horrific – if they’re surrounded by adults, dangerous situations, people traffickers. “Absolutely. Trafficking is a danger. Unaccompanied children, nobody to protect them. “They are being trafficked, they are in danger of being dragged into prostitution, into criminality, drugs and so on. “It’s a very, very dangerous time. “According to Interpol, 10,000 children have disappeared. “Now we don’t know how sound that evidence was, but the idea of one child disappearing in the Czech Republic or Britain is shocking. “We look hard to find a child that may have disappeared and yet there are thousands who are just drifting around in Europe, not being properly supported.